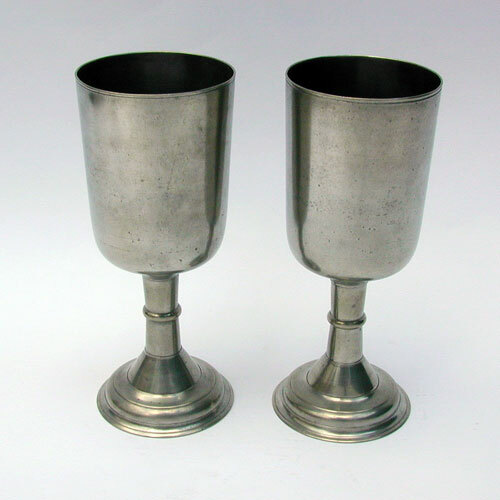 This pair of 8 1/2" tall export chalices are very similar to a pair show in Laughlin's Pewter in America Its Makers and Their Marks. This type if frequently found in New England. Made in England for export these are an interesting form. 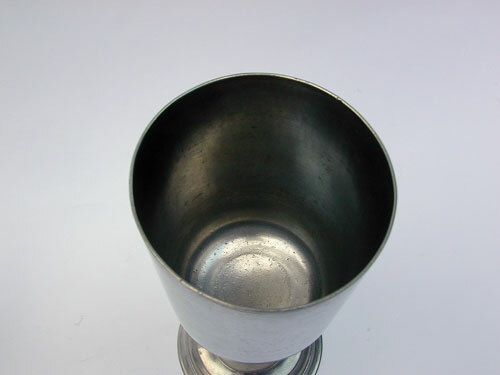 The cups appear to be truncated pint mug bodies and the bases are made from pint tankard lids. In fact you can see the anti-wobble ring cut down in one of the pictures. 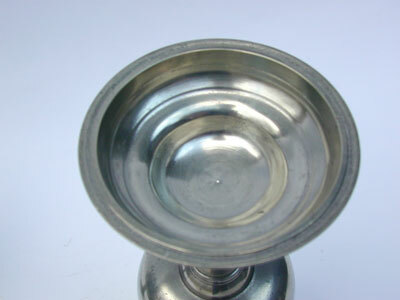 In fine condition mid to late 18th century.